Today we launch our Just Text Giving Campaign. Help us support survivors of abuse by donating £1 from your mobile. 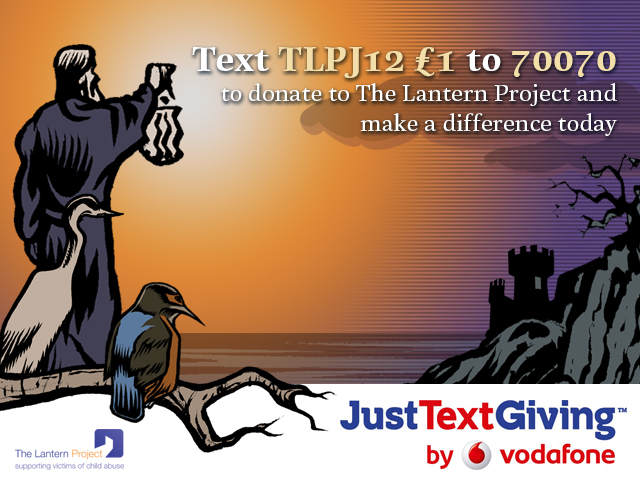 Text TLPJ12 £1 to 70070 to donate to The Lantern Project and make a difference today. JustTextGiving by Vodafone. Donations go directly towards the running costs of our support service and are very gratefully received.